GEP703A WWII Concrete OP or Pill Box (6''Lx4.5''Wx2''H) camouflage paint. 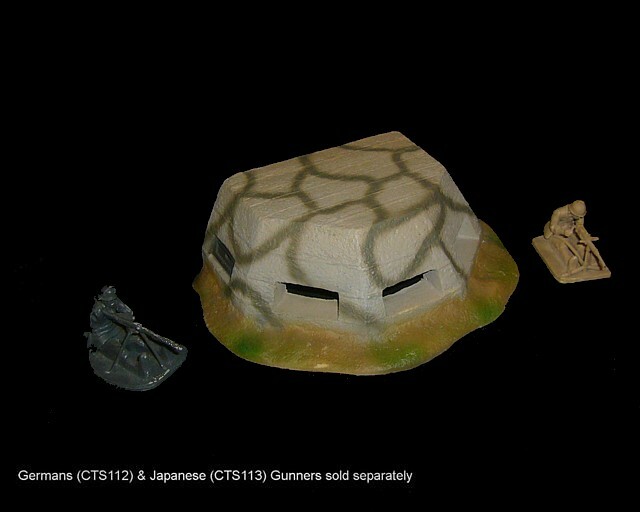 Designed specifically for CTS German Machine Gunner (CTS112) and Japanese Machine Gunner (CTS113) Figures not included. NOTE: All GEPTECH items will be shipped separate from your CTS order. Merchandise will be shipped USPS Parcel Post from Colorado within 2 business days of your order being placed.